Since it’s refusal to sell to Facebook for $3 billion back in 2013, Snapchat has seen its fair share of ups and downs. It’s had some success with taking the company public with an IPO of $17/share, which brought the value of the company to $24 billion, making both founders Evan Spiegel and Bobby Murphy well worth over $3 billion each. 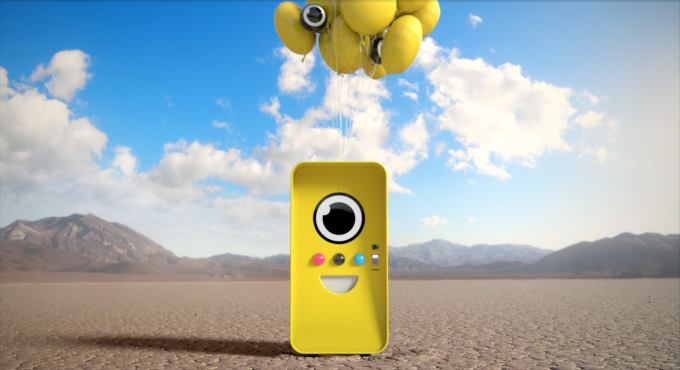 It had somewhat success with its trendy release of the Snapachat Spectacles, using pop-up bots around the world to deliver the tech-friendly glasses to the market. But then the company was unable to keep the trend going, capture the market (only .08% of Snapchat users actually bought a pair) and instead now has hundreds of thousands of pairs laying around, rotting in warehouses. Snap seems to be going downhill. Its stock hit an all-time low of $10.50 back in May and now hovers around $13. It announced earlier this week that it’s shutting down features like Snapcash and there are talks of Google wanting to save the company by purchasing it for $30 billion, which would make sense since Google has not always been the most socially adapt company and even failed to make its own version of camera glasses. But how does Facebook’s Instagram play into the overall health of Snapchat as a company? Well, ever since Spiegel and Murphy refused to sell the company, Mark Zuckerberg has been on a mission to have Instagram destroy Snapchat – and so far it’s working. Instead of trying to beat the rival app, Instagram is pretty much copying any feature that would have taken you away from Instagram. Just like Snapchat, Facebook also introduced its own version of stories which are nearly identical. David Pierpont, vice president of performance media for Ansira, a digital ad agency, has even said that "The death knell for Snapchat was Instagram Stories," "When we saw that, we said, 'It's over,'" Pierpont told CNBC in a phone interview. Instagram now even allows you to conduct polls and have followers ask you questions through the app's stories - adding more levels of interaction between followers and followees. One of the features that made Snapchat so popular, was its face lenses and filters. Surely you’ve seen girls using one of the many dog filters. This was all thanks to Snapchat’s $150 million purchase of the Ukranian company Looksery back in 2015. Instagram recently released its own version of Face Filters, which is nearly identifical to that of its rival's. Another feature the two apps have in common is the ability to tag the location you're in, just so it’s 100% clear where in the world you’re taking the photo from. While most of the newer, copied Instagram features may seem more appealing, Snapchat does have a greater variety of location tags. They even have interesting sponsored versions that can be geofenced and if you’re wanting to develop your own location tag filter (say for a friend’s birthday), then you have that option too. While Snapchat was the OG of having cool photo filters and stickers, Instagram is quickly catching up to speed. Their recent release of Gif stickers has been a cool add-on that is looking to compete with Snapchat’s Bitmoji and cool AR Bitmoji features. Instagram recently released IGTV, which is a new extension of the app that allows content creators to develop longer form videos in vertical formats (think of extended stories that don't disappear). While slightly different than Snapchat's Discover feature, it will still serve as an additional avenue to keep users on the app. And of course, who doesn't love an old-fashioned boomerang? They make nearly any normal task look that much cooler with the effect. Instagram seems to be adding on more features every day. Pie Ceres over at Wired just posted an in-depth article on some of Instagram's coolest features that is definitely worth a read. The messaging elements of both platforms are nearly identical. The only real difference is that Snapchat’s messages disappear after you look at them. This can either be a good or bad thing, depending on how you look at it. If you want to remember or reference something a friend said, then forget about it when using Snapchat. It’s not only that Instagram can completely copy Snapchat’s features in every way. Thanks to its parent company, it also has access to over 2 billion users, as well as detailed information about their online habits and what they like. It’s now said that Instagram has a billion active users, which makes Snapchat’s total active monthly user count of 300+ million look like small peanuts in comparison. In order to stay in the game, Snapchat will need to come out with something revolutionary and fast, otherwise, it’s likely that people will just stay on Instagram, instead of switching between the two. Let us know which app you prefer to use and why in the comments section below. And be sure to subscribe to The Sitch for more tech news and other entertaining reads.